Beach life! Summer in our house is all about the beach and you won't hear one complaint from our little crew. Right after we returned home from Jamaica, the Cutes and I did a quick turnaround and kissed Mr. Cute goodbye bright and early Monday morning to head to one of my favorite beach destinations here in the south - Hilton Head Island, SC. I grew up visiting the island when I was younger and for the last few years it has been fun sharing those memories with the Cutes. The drive from Atlanta is around 5 1/2 hours. Now here is where I learned, while Little Cute is great at flying she is not so great at car riding. I heard "Mama!!!!" screeched at the top of her lungs for a solid four of those hours. The moment I saw the Savannah Bridge, and peeked at the silence of sleeping children in my rear view was a welcomed relief. So much so that since there wasn't a car behind me I slowed to a stop and took a few photos and just enjoyed the fun drive I knew was ahead. My family thinks I am crazy when I drive this route, but I love driving through Savannah, and then through one of my favorite small beach towns - Bluffton, SC. I could only snap a few quick pics at stop lights as we drove through, but trust me when I say it is one of the cutest southern beach towns with some amazing downtown restaurants. If you get a chance one day, and want to spend some time at a not so commercialized beach town, Bluffton is your answer. I would have stopped and let us stretch our legs normally at the point to enjoy the town for a bit, but Little Cute was still sleeping and I was not about to wake her. Hilton Head is only about a 40 minute drive beyond Bluffton, and we typically stay in Sea Pines. We have stayed a few of the other plantations on the island, but Sea Pines is our absolute favorite. From the beaches to the bike riding to the restaurants I visited as a child, Sea Pines has our heart. 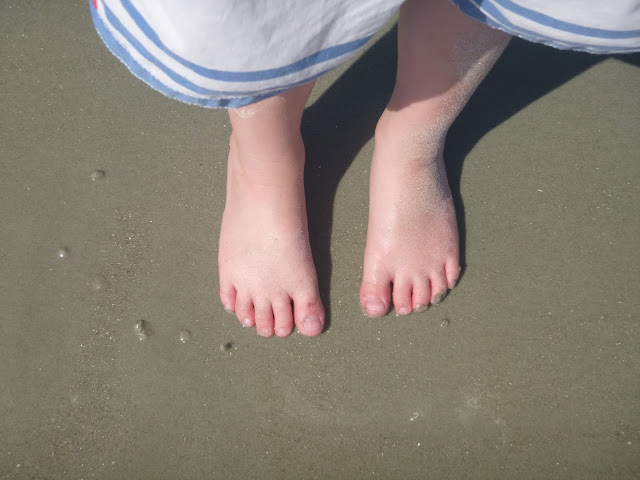 We arrived late afternoon and wasted no time in putting our toes where they belong - in the sand! The kids absolutely LOVE the beach, and if it weren't for dinner they would have built sand castles, jumped waves, and chased sea gulls until they passed out. But I knew not to over due it on our first day, and begrudgingly loaded the kids back up to grab a quick meal at the condo. 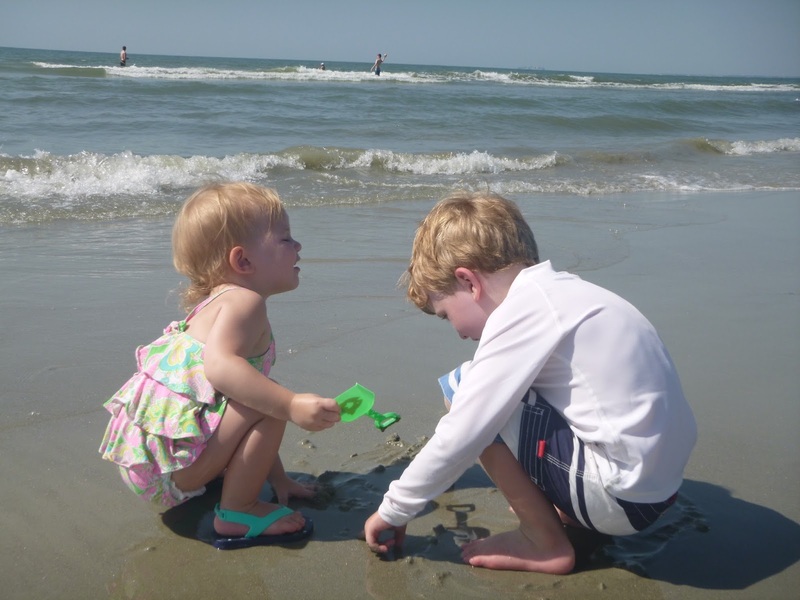 Over the next few days I will share some of our favorite Hilton Head moments, and hopefully you fall in love with the island as much as I have. Until then...happy gelato eating! Do you have a beach town that you just love? I've never been to Hilton Head (or SC at all). It's on my list! Can't wait to see the res of your photos! We love HH and we have gone every year for the last decade. We ride our bikes down to Sea Pines but always stay at the Marriott Grande Ocean (where the timeshare is). It's such a beautiful place and the beaches are amazing! can't wait for your future posts!